Find the oil price for your town. We Now Have Tank Gauges and Tank Heaters! 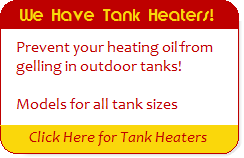 We are happy to announce an online store where you can purchase electronic tank gauges and tank heaters.